This puzzle consists of numerous questions, mostly with multiple choice answers. As the solver works through them, they will find that they are all related to free increpare games. 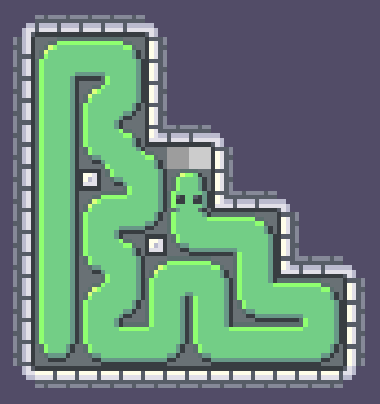 Many of the questions involve new levels for increpare games, while others just involve answering a question about an existing level. Answering each question gives a piece from increpare's recent game Gestalt_OS. This is relatively easy to find, since it's at the very top of his site (which solvers will presumably get very familiar with over the course of solving the puzzle), and it's also clued by the grids at the bottom, the flavor text, and the title of the puzzle. Using the tools image at the bottom of the puzzle to translate these pieces back into letters gives the answer to this puzzle, TRUE FORM. Note that one of the cells contains two letters - in this case, the large letter O is the actual piece, and the small letter T corresponds to the piece emitted by that piece. For some of these questions, a sequence of moves consisting of arrow directions will be provided. These will use U,D,L,R to refer to up, down, left, and right respectively. This is an instance of the game Parallanagram. There is only one solution to the given level, making the words SERA, POTS, PASS, SOLE. This is a reference to the game Place Animals on the Grid. By playing this game, solvers will find that the only option that can't be placed on the grid (because it just isn't part of the game) is the cow. This question is about the game Quiet City. By playing through the game, solvers will find that all of these characters appear, except for the hula hooper. This is the same game as increpare's your name, but with a new goal. One possible string of inputs that will enter your name is "yyyyyboouurj njamds[backspace]". These are Pip Schlepper levels. 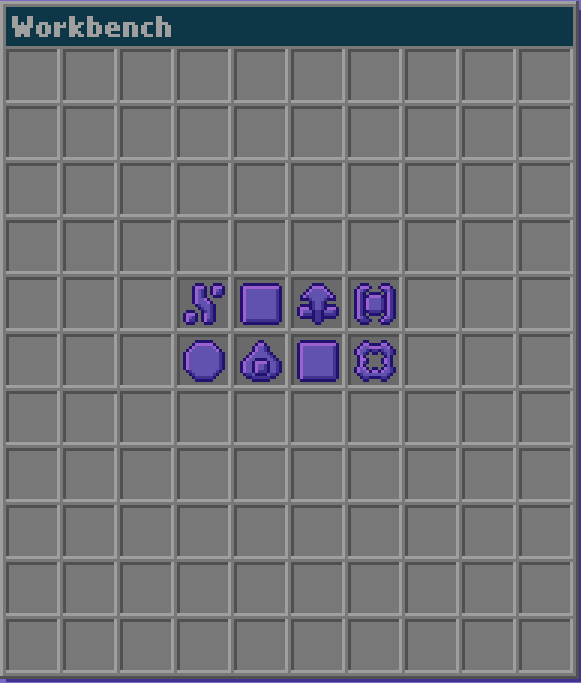 Levels 1 and 3 are solvable, while 2 is not. For level 2, the score on the left side is at least 4, and there can only be three pips on the right side, which isn't sufficient to make 5 points. This is increpare's flickgame, Cups. The ball is always in the right cup. These are new levels of Bring the ice cube to the goal without exposing it to heat. 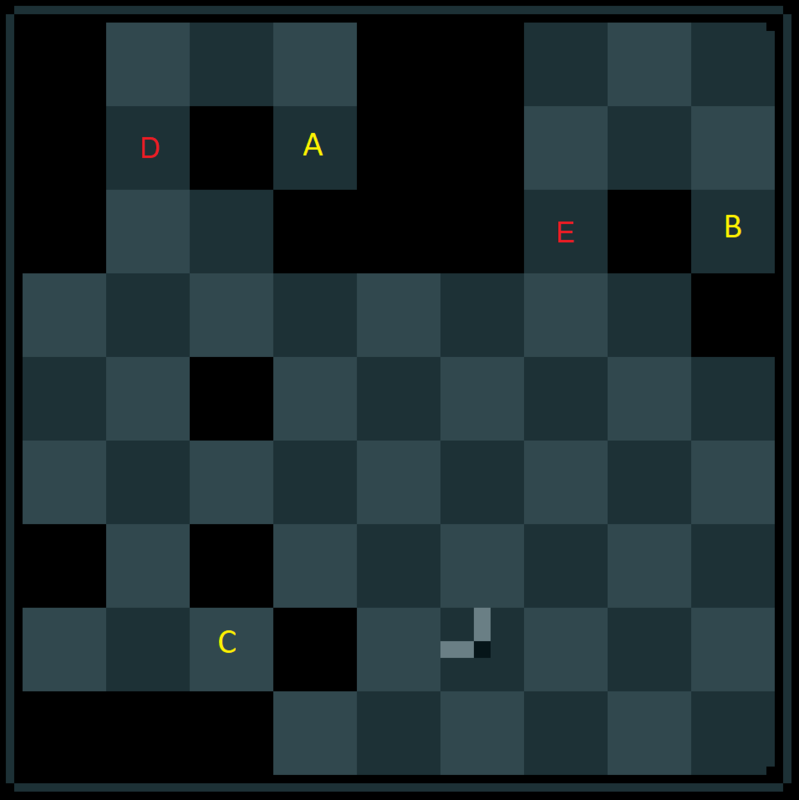 Levels 1 and 3 are solvable, while 2 is not. Level 2 is unsolvable because the only way to move the ice cube "past" whatever move the candle is in is by boxing the candle into a wall, which cannot be done without leaving the "doors" between rooms unblocked (and hence causing the ice cube to melt) when the rooms are this large. Learned people cast great shadows. Early in the year, we had the joy of playing through some of increpare's recent work, including games such as Pip Schlepper and Dice Repair Apparat, and came across so many incredible but mostly unknown puzzle games. While we had already explored increpare's most well known game in a 2017 puzzle, we came up with the idea of writing a puzzle based on his collection of incredible smaller puzzle games. When we discussed the structure of the puzzle, one of increpare's recent games, Gestalt_OS, stood out as a good choice for extraction, and we spent a while trying to come up with a really interesting sequence of moves that would give the right shape of objects for our answer. We came up with the multiple choice questions as a way to feed in answers for the extraction. We tried to stick with questions that would be solvable if and only the played had understood the fundamental concepts of the corresponding games. To that end, we mostly tried to stray away from "minimum number of moves" questions, but some of the games didn't really lend themselves to multiple questions in any other way.